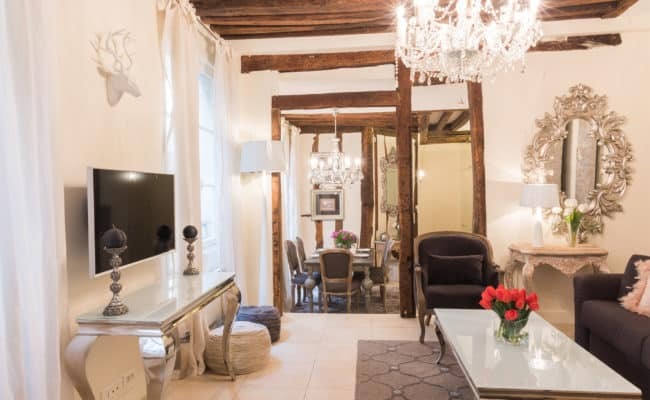 One bedroom, one bath: Just steps from rue Bretagne in the upper Marais, this gracious 52.3 m2 property offers a mix of historic, exposed beams and modern amenities. 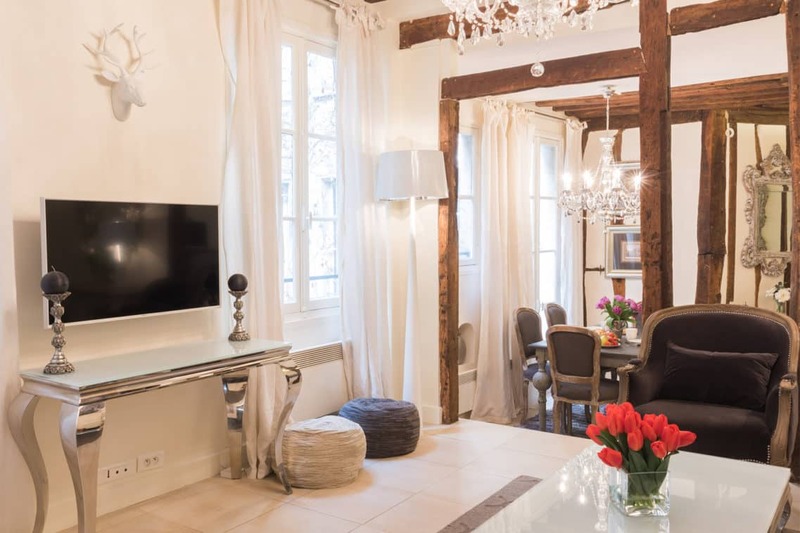 This elegant one bedroom, one bathroom 52.3 m2 apartment is well located in the stylish Marais neighborhood, near the Marché des Enfants Rouges – the oldest covered market in Paris. 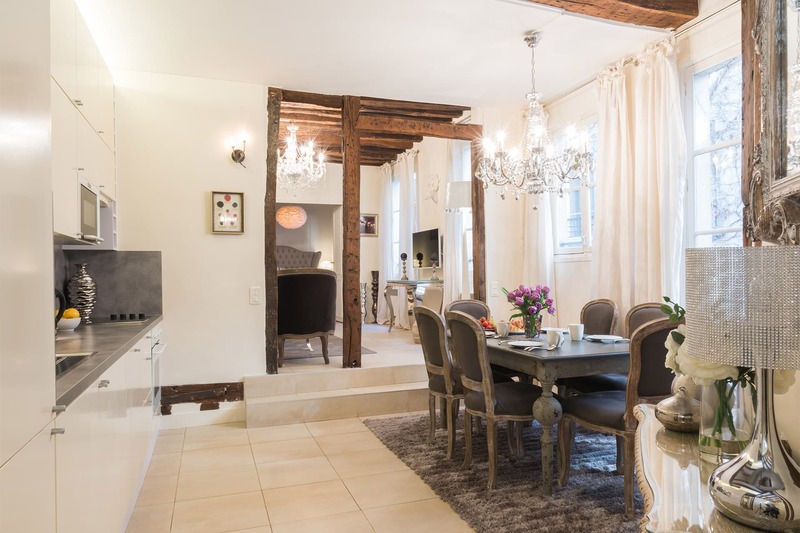 The large open plan dining and kitchen area flow into the gracious living room, making it a wonderful space for entertaining friends and family. The charming exposed wood beams add warmth to the space and the chic decor contrasts modern style with the historic setting. 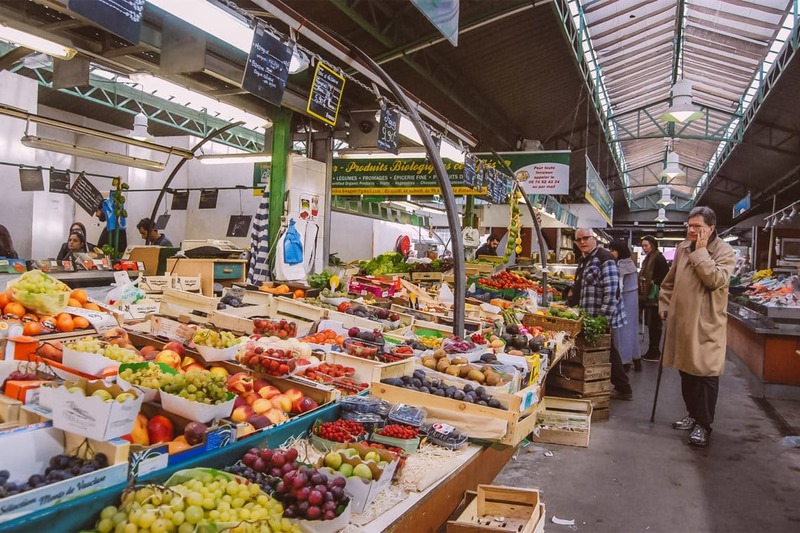 The Marché des Enfants Rouges and the wonderful shops and cafés along rue Bretagne are so appealing you may not ever want to leave the neighborhood. 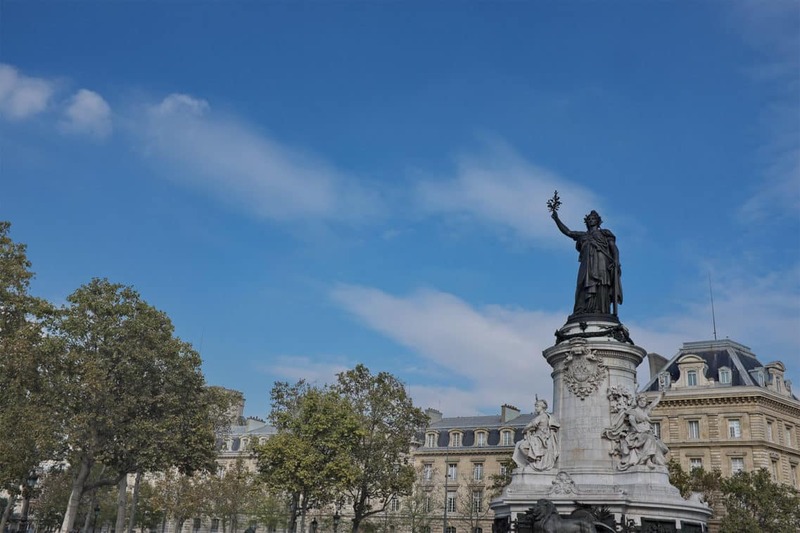 When you do venture farther afield you won’t have to go far because many of the main historical sights of Paris are within just a few minutes walk from your doorstep. 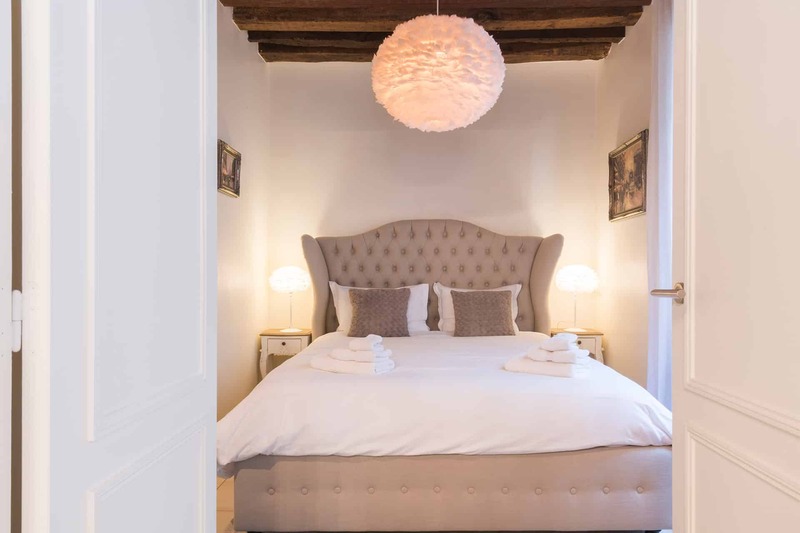 The Marais is one of the trendiest areas in Paris due to its charming streets lined with hip boutiques, cafés and fantastic dining options. 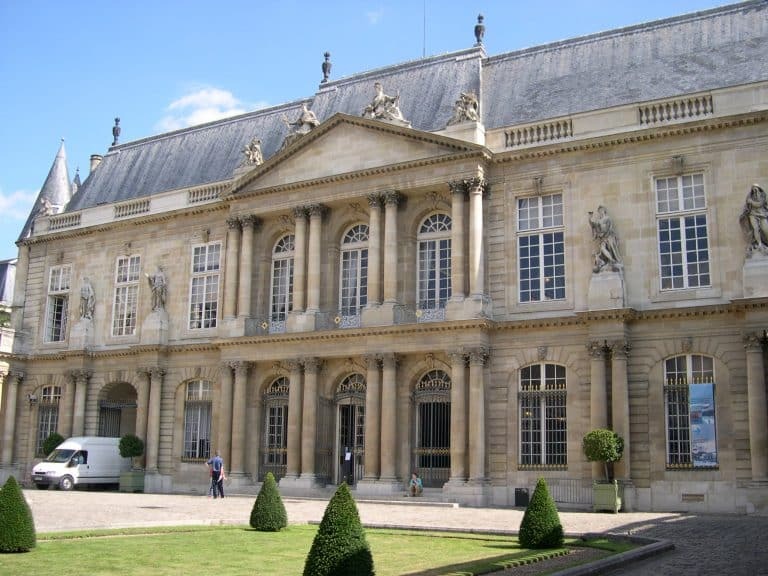 This historic neighborhood is the home to several museums, including the Musée Picasso, the lovely Musée Cognacq-Jay and the Musée Carnavalet, which is dedicated to the history of Paris. 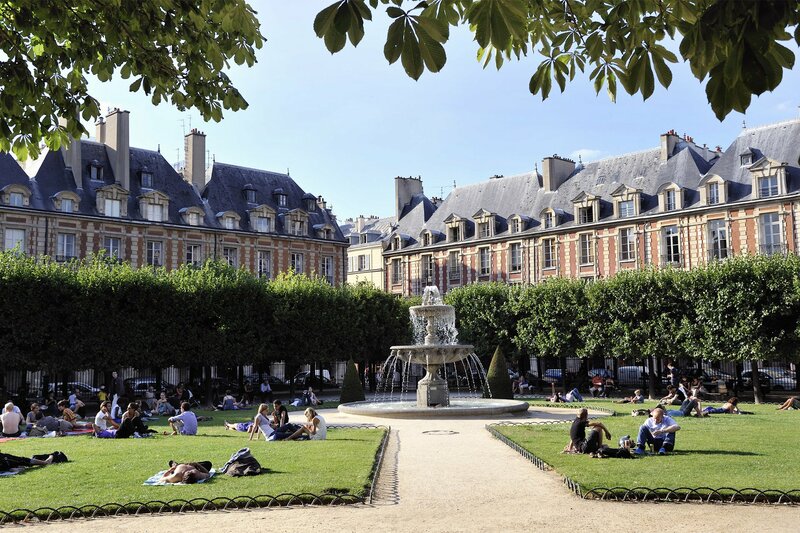 Another must-see destination is the Place des Vosges, a beautiful square lined with arcades – it truly is the prettiest garden square in Paris. 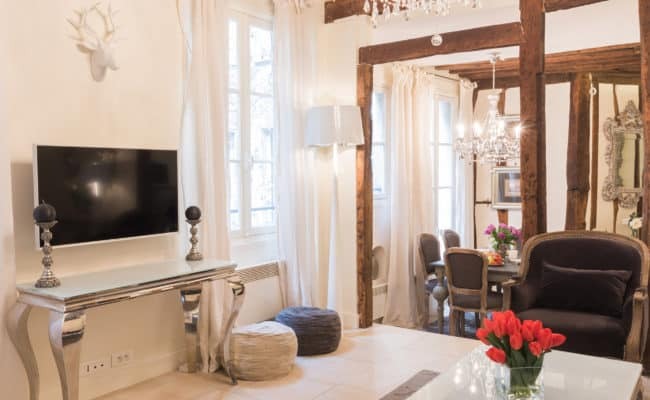 With so much to see and explore in the Marais plus easy transportation options, this is the ideal central location for enjoying the best of Paris. Turn-key property. Furnishings available separately. 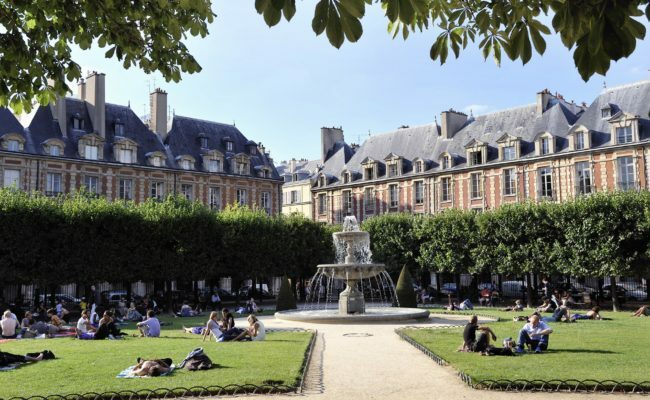 The northern part of the historic Marais, the third is an eclectic neighborhood with plenty to see and do. The wholesale shopping around Place de la Republique quickly turns more quaint and small-neighborhood as you head south. 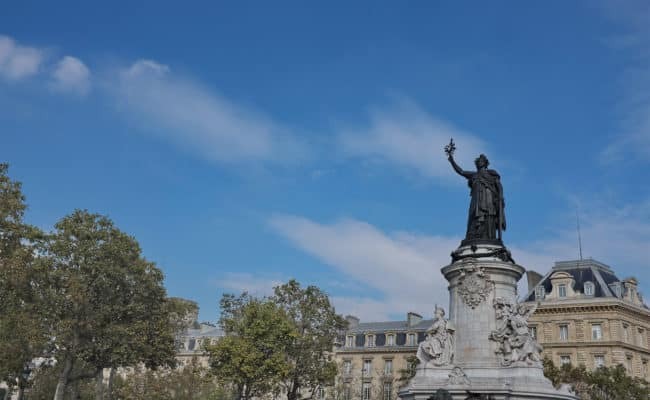 “Temple” is a trendy corner of Paris at the moment with lots of bars, good-value restaurants and art galleries at every turn. The streets are filled with locals, foreign and international, out to have a good time. 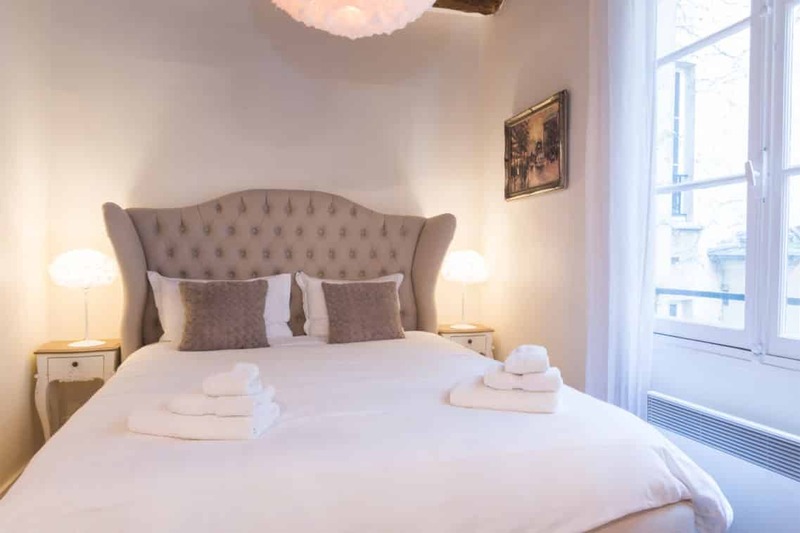 The heart of the Marais is between rue de Turenne and rue des Archives, where you will find wonderful museums and galleries in old hôtel particuliers, a number of Paris’ renown hidden parks and gardens, restaurants, cafés, and boutique shopping. 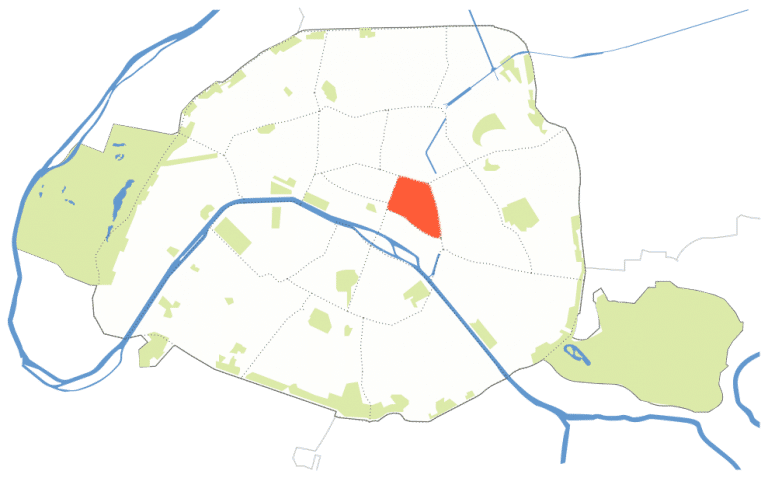 Head east to the border of the 3rd and 11th arrondissements to find more up-and-coming restaurants and hipster hangouts. 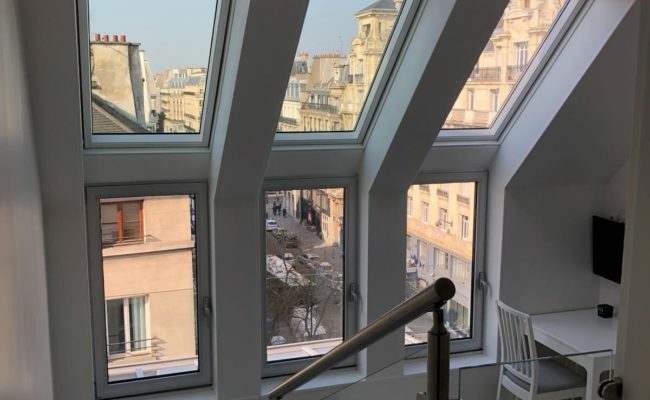 Not long ago, a savvy buyer could expect to find an inexpensive apartment to renovate in the northern 3rd arrondissement. Those days are long gone. 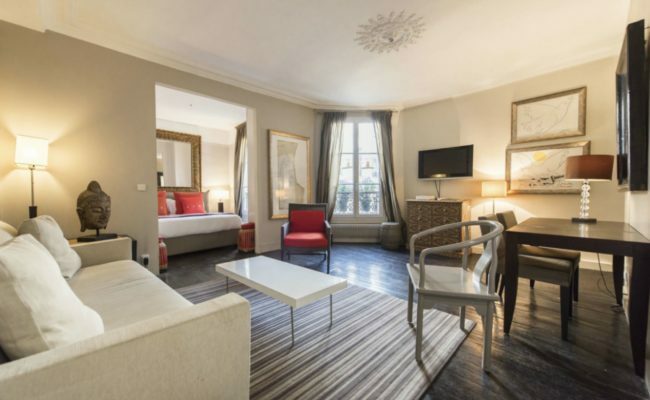 Expect heftier prices around République, and down from there as you enter the historic Marais. 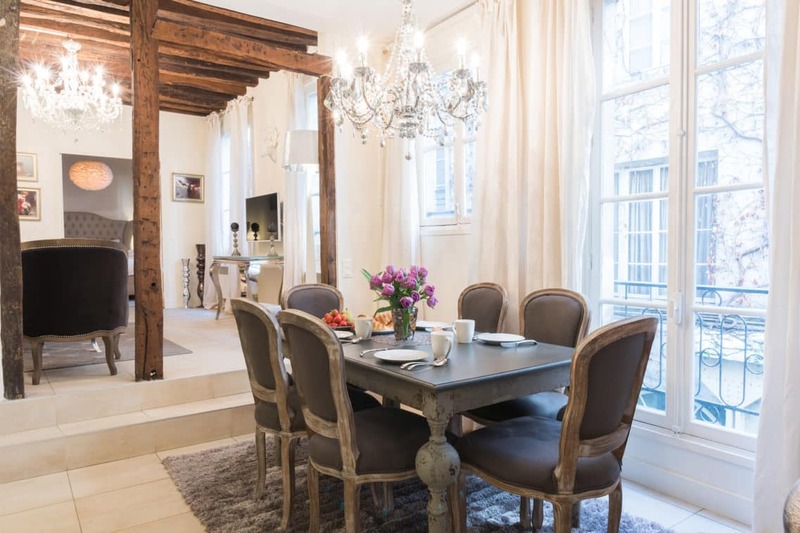 Look for prices to continue to rise in the northern part of the 3rd, with the renovation of the Marché du Temple and the Place de la République, and the areas around the Marais. 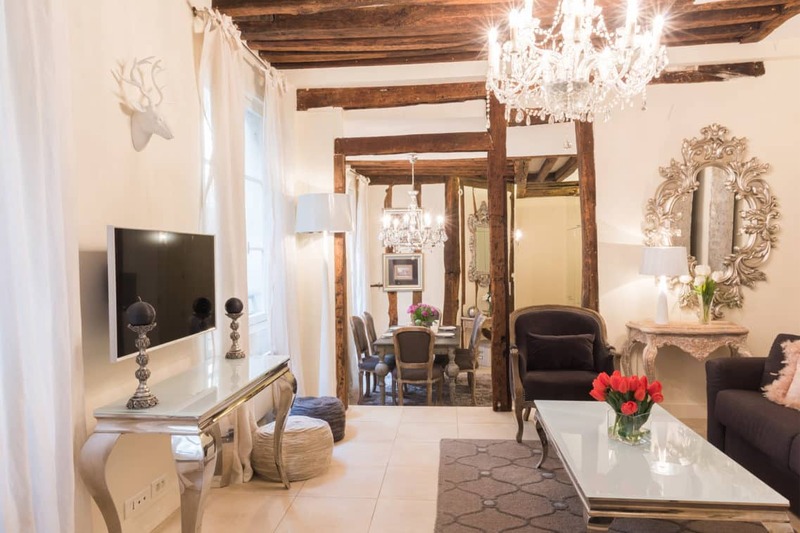 Average price:11,219 €/m2, ranging between 7,906 € et 15,861 € /m2 depending on the area. 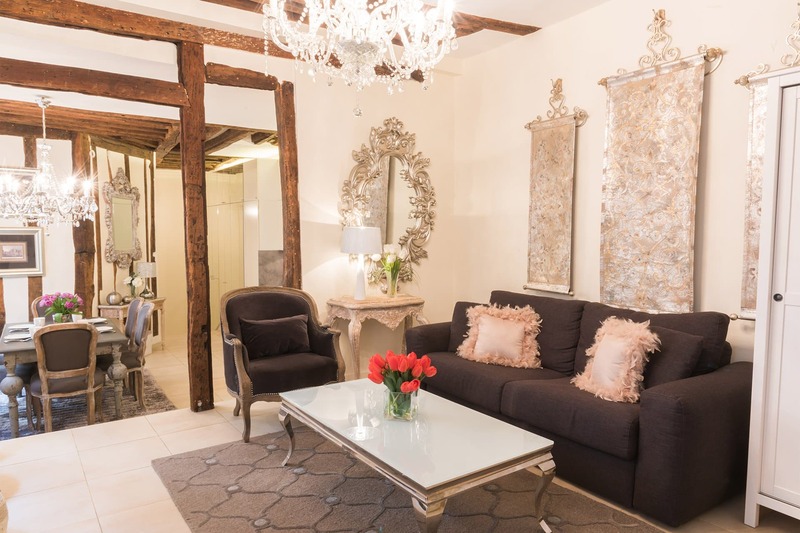 Like being invited to a gourmet dinner at a friend’s pad – settle in the dining room, play pingpong in the salon, watch a movie in the den, drink champagne in the boudoir, or relax in the upstairs bedroom. Straight from Brittany, home of crêpes, this café brings an air of sophistication and gourmet ingredients to this quintessential French specialty. Tradition and innovation cross paths here where you can find a mixture of sweet and salty flavors, and where above all Brittany is the flavor of the day. 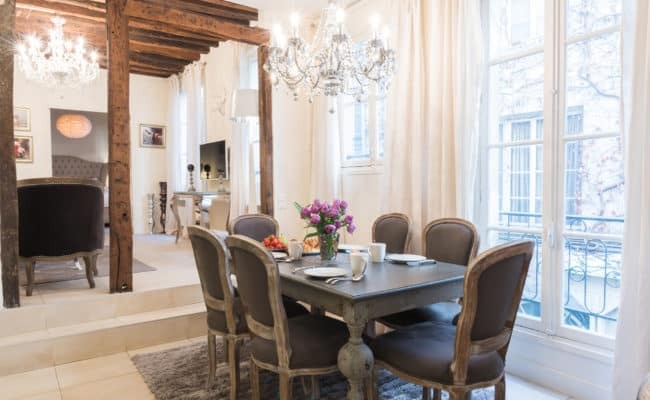 One bedroom, one bath: Carreaux du Temple - Very bright corner apartment with open views on a quiet street in the very chic and charming Haut Marais area. 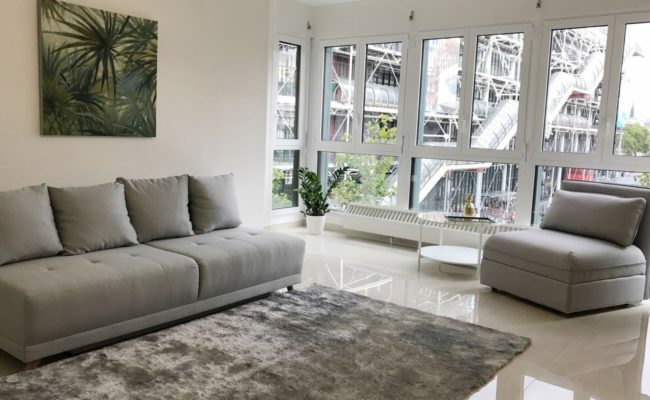 This 33m2 1-bedroom apartment has a great floor plan with 6 massive windows and is on the 3rd floor (4th floor American) of a beautiful historic building with an elevator and recently renovated facades. 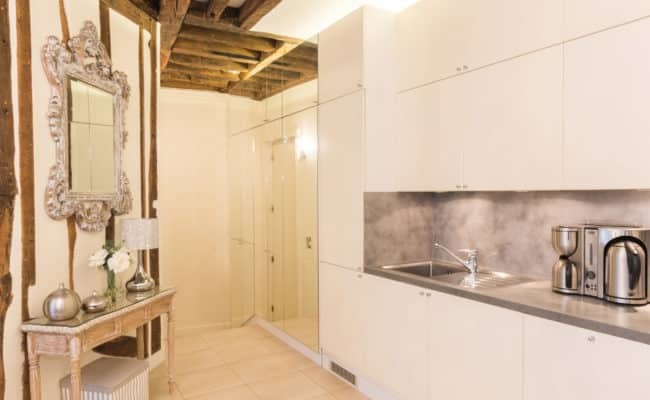 It is comprised of an entrance, a bedroom, a bathroom with toilet, a living room, separate kitchen (open kitchen possible) and a cellar. Great potential. Digicode and intercom. 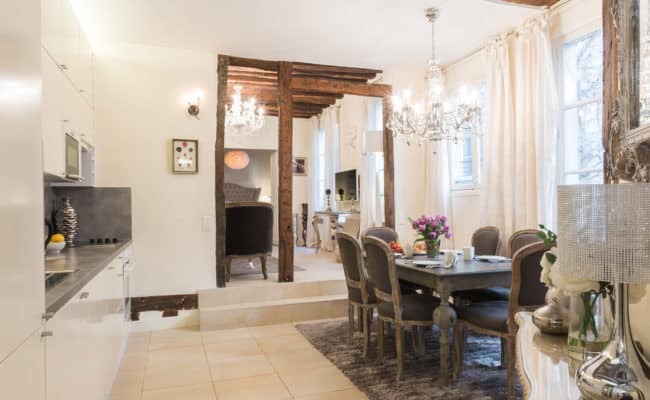 Perfect opportunity to renovate and bring your own style to this bright and airy property. 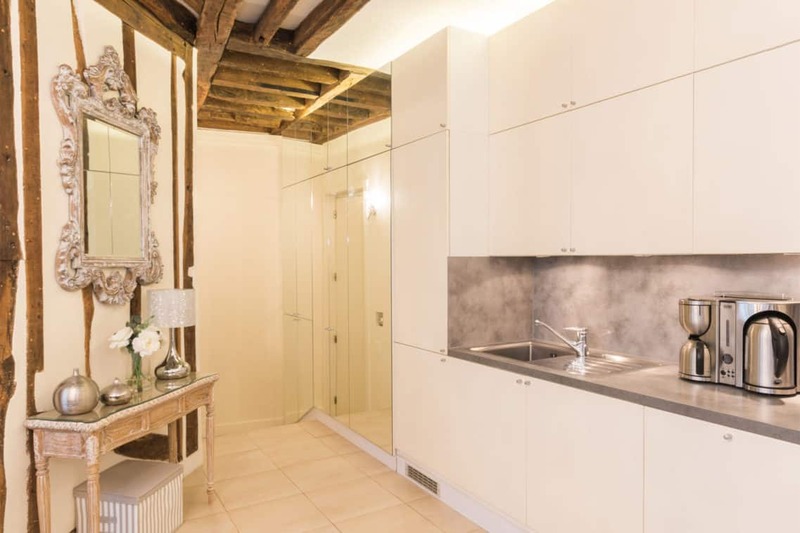 One bedroom, one bath: Beautiful and serene apartment with a view on a quiet, well maintained courtyard. 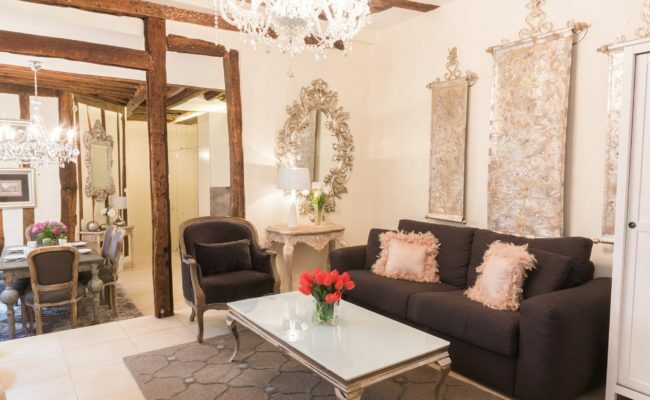 Located on the second floor (with an elevator) near Square du Temple in the heart of the Haute Marais. 42 m2, with a kitchen open to the living area. 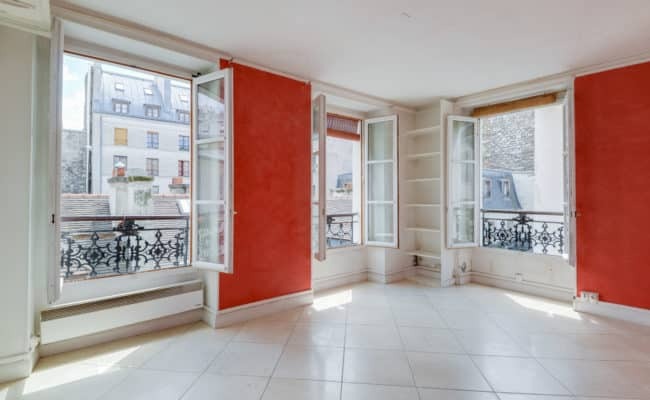 Two bedrooms, one bath: This pristine property, located on the third floor (with elevator) of a magnificient building (Grand standing) directly on the Place Georges Pompidou in the third arrondissement. 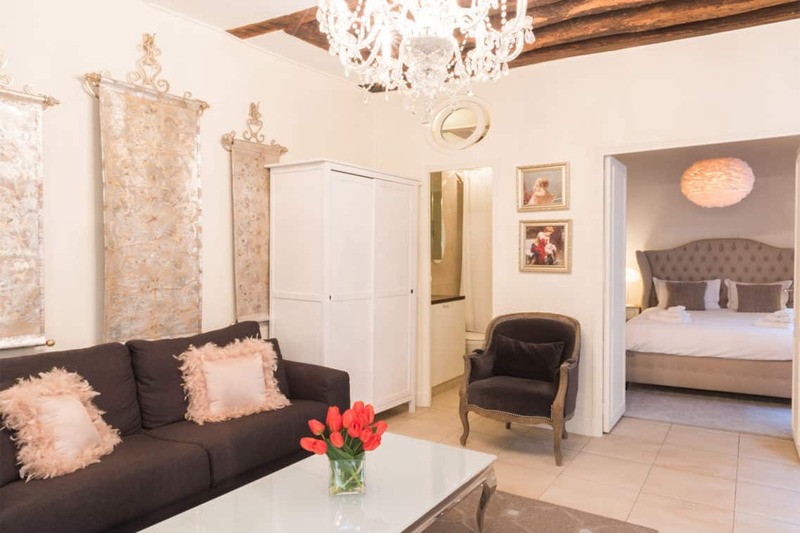 Rare open view, sunny and quiet while just steps from the vibrant Marais. 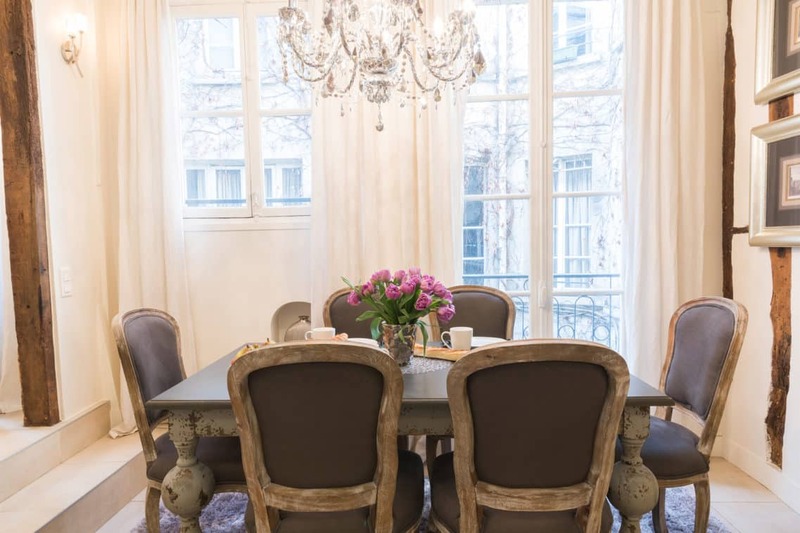 Two bedroom, one bath: 6th floor (with elevator), 36m2 apartment overlooking rue Etienne Marcel. 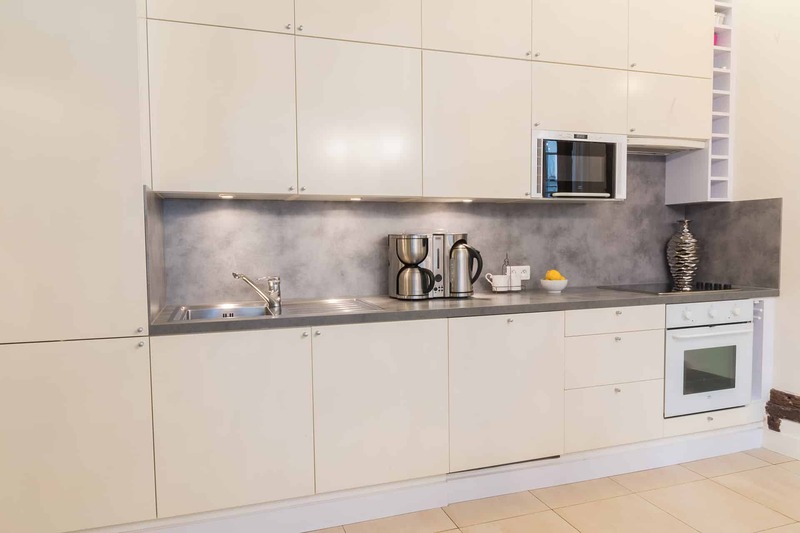 Bright and spacious, with a solarium living room and open kitchen. 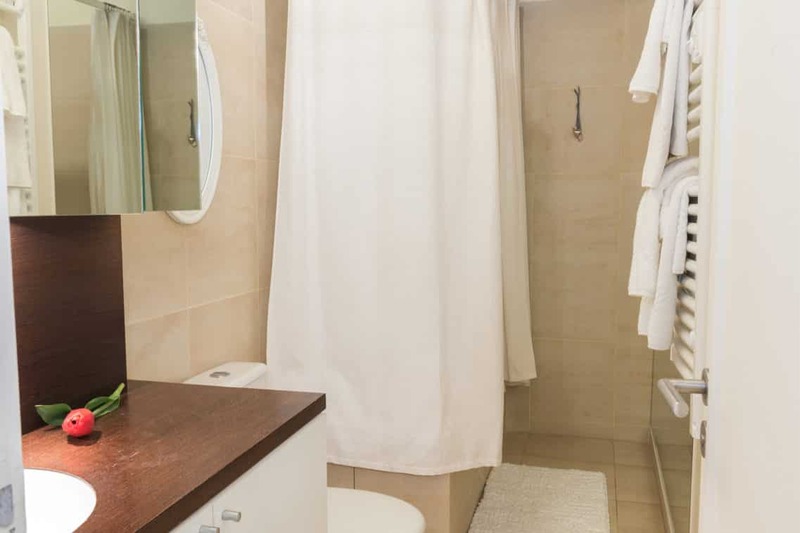 This property is located directly above a 5th floor apartment, also listed for sale, creating the possibility of uniting the two and having a large duplex property.